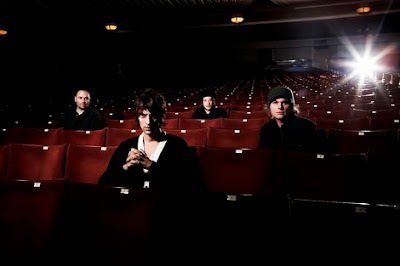 ::: Off the Radar :::: The Verve Return! After 11 long years (about the same stretch as Portishead) The Verve finally give us New Material! Yesterday they unleashed their first single to the world 'Love is Noise' off of their forthcoming new album and I'm glad to report it's amazing! I get worried after such long gaps that the magic bands once had won't be there anymore, but if this first single is any indication we have alot to look forward to! Apparently they're in a studio as we speak working on the new record. I guess the big crowds and money thrown at them at Coachella was enough for them to realize it was time to make that comeback record. We haven't heard new Material from them since their Classic 1997 album Urban Hymns which is one of my favorite all time albums with the brilliant and possibly one of the best songs ever written Bitter Sweet Symphony. Remember all the problems they had with that Rolling Stones string sample? I think they ended up losing most of the profits from Bitter Sweet, but it still couldn't stop them from shooting to super stardom. Only problem is when they finally got there, they broke up... What a sad day that was. Richard Ashcroft went on to release several solo albums, which although not bad didn't live up to the magic they had with Urban. It was time for their Return. Appropriate for this post The Verve performing 'Lucky Man' @ Coachella earlier this year. Damn me for missing this!